Not Alone: Expressions of Hope performance. 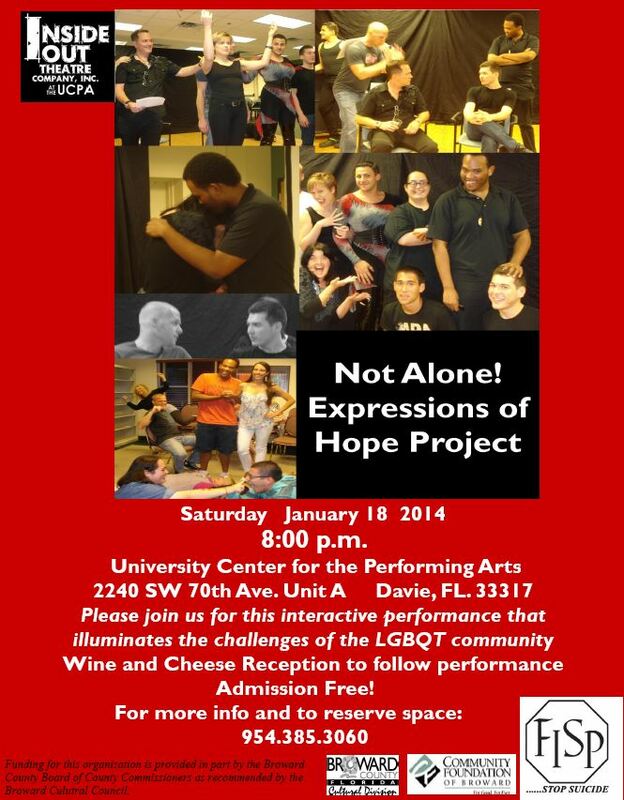 DAVIE, Jan 18, SATURDAY, 8 PM – FISP and Inside-Out Theatre are presenting a FREE performance of the “Not Alone:Expressions of Hope Project” to celebrate a new partnership we have with the University Center for the Performing Arts. Created by volunteer LGBT actors working with director Robin Braun, the production explores the social conditions causing higher rates of suicide in the LGBT community.